Information on importation is dated. 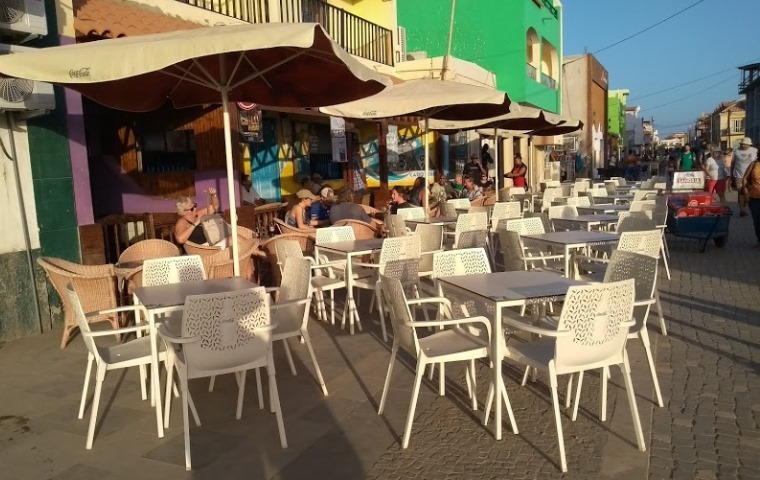 Up to date info is only added if and when expats, investors, authorities or professionals provide relevant info through experiences or factual information to Cape Verde Tips. There are people who have an Import License who can import goods for you, some charge 10% to do this, and others will charge you a lot less. Photo: Goods and conatiner storage area Palmeira Port, Sal Island. 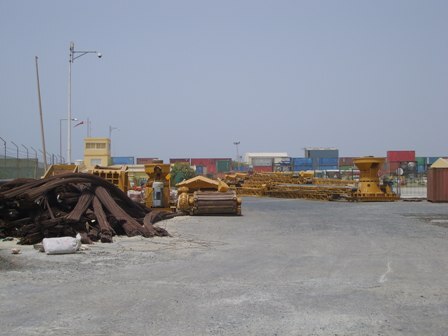 It seems that unless you identify and list on your inventory every single item down to a red plastic bucket and one teaspoon in your container (even if they are old ones) when having it shipped over from the UK to Sal, the container base staff at Ports would take the unlisted items out and class them as ‘new’. You will then have to pay import tax on the ‘new’ items (very costly). If you have 133 items listed in there, they should be able to check them easily. (June 2011). One person paid around £2,500 to send a 20’ container of goods from the UK to Sal, it was sent on 25th March 06. Although quoted 21 days to arrive on Sal, it took longer. 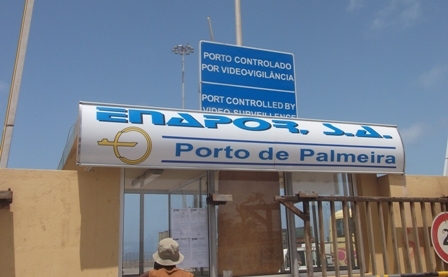 There is no guarantee when the cargo ship is allowed to dock in Palmeira (port on Sal), when it can be inspected or when the container can be delivered to its destination. October 08 : UK businesses still have a number of difficulties with containers arriving on time or at the right destination. Ships have stopped off in other countries, unloaded the container, then loaded it again and sent it back to the country where it came from instead of onto Cape Verde. A number of people were told in the UK that no more costs would be incurred when their container arrived on the islands, but there are, so please check with the Dispatcher/Clearance Agent on the islands it is being sent to. They can also tell you what the various taxes are going to be for the different types of goods you send over. There are higher taxes for some items i.e. cars over a certain age. NOTE: Since the above information was provided, rules, licences and costs may have been updated. Please make your own enquiries. You will have to consider the loading of the container in the UK, as generally you have to do this yourself with some help from friends etc. Some containers arrive on a lorry and stay on the lorry outside your house; and the driver may not be insured to help you load up. The base of the container is about 4/5’ off the floor, so lifting heavy goods may be a problem. As an alternative some companies can offer a shared container. You can ship a pallet 1m x 2m high over for about £250. However the container may need to have its full quota of pallets before it will leave. Therefore the departure date may be some months away, or longer if it is only half full! You will need to consider sharing the costs of Import tax, costs at the Port or any holding fees whilst it is being sorted out, then delivery costs from the port to your property and Dispatcher costs etc. All this adds up and should be shared between those sending out the equipment on each container. The costs can vary. NOTE: You must provide the name of the Dispatcher (Freight Company) and the name of the Forwarding Agent in Sal, before the container leaves the UK. I have been told that you will need a 'Bill of Laden', which has to be sent by the Dispatcher (Freight Company) in the UK to the receiver i.e. you, in Sal. There will be a reference number on the Bill of Laden. The Freight Company will seal the container in the UK. The receiver (you) will have to have the original Bill of Laden as well as the official Council letter confirming that the listed items are correct. A copy of the letter and the list has to be translated into Portuguese. It has been difficult and costly for some ex-pats and businesses who weren't prepared for certain difficulties and additional costs when trying to import goods themselves. Consider usng a reputable shipping agent who will deal with the complete process or use a licensed clearance agent in Cape Verde who will deal with all the paperwork and translation documents, keep in touch with the shipping agent, the arrival port authorities and make delivery of your container items to its final destination. If you are looking at shipping smaller items from UK to Cape Verde, please speak to the Freight Forwarding company about possible additional costs and ask them for advice! Please also visit the pages on top right to more information and comments on importing to Cape Verde. NOTE: The information provided on the pages on importation are for reference only. Cape Verde Tips takes no responsibility for 3rd party information or web page links to other information sources or advertiser contacts. Please make your own enquiries and carry out due diligence. Comment 3 - The company I used in 2011 is based in Felixstowe . The boat leaves every Thursday from Felixstowe. They can deliver the container to your door, you pack it within the 3 hours and they then take it back to Port. The ship goes from Felixstowe to Las Palmas and then gets reloaded onto the smaller ships that can dock at Palmeria. It takes between 25 to 40 days. The staff are very friendly. (May 2011). There are also the Importation Agents in CV who are very good and can pick up the goods from Palmeria (Sal) and sort out the taxes and import duties and deliver goods to the door, once the container arrives. (May 2011). Cape Verde Tips - August 2018: We are currently speaking to one Shipping Agent in the UK who has been sending cargo by ship to Cape Verde and the second, will be an international shipper based in the Canaries.